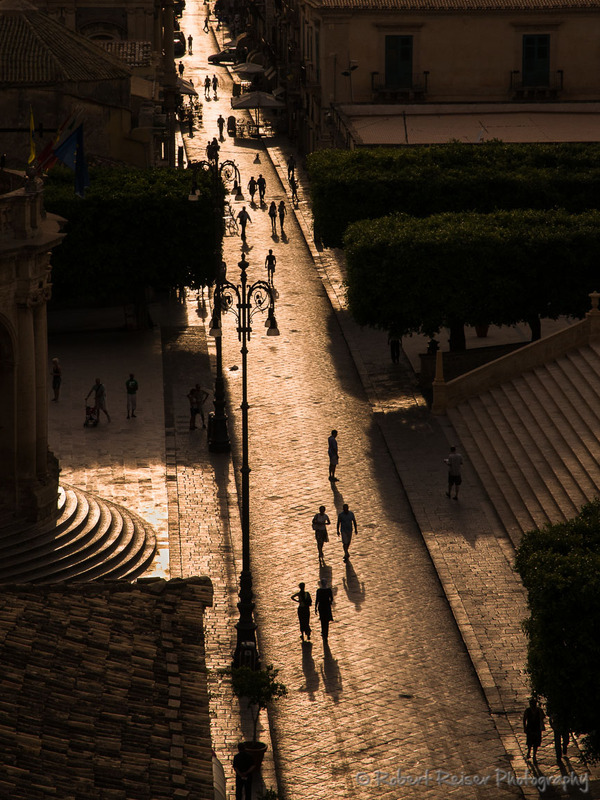 Noto city center, as seen from the church tower. The sun was low and in exactly the right position. 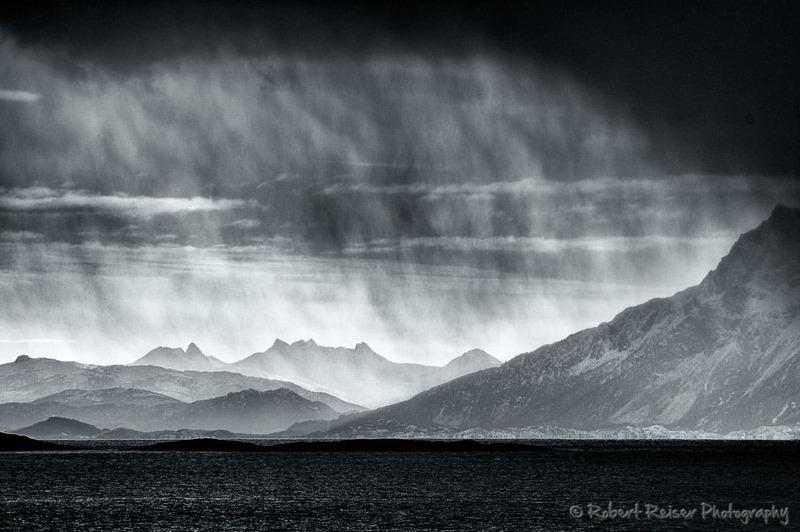 On a boat trip, you could see the heavy rainfall in the distance, with the layered mountains in the background. The Danube river creates beautiful structures in the overflow areas, and sometimes you are lucky to spot a scene like this one. While not visible in the picture, the aurora was slowly moving, like a curtain in the wind. 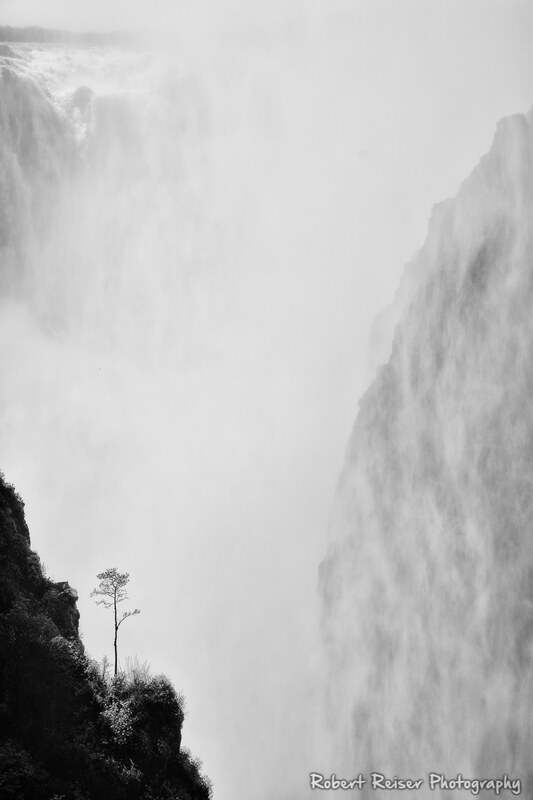 A lone tree on the Zimbabwe side of the Victoria Falls, with the falls in the background. June 2017, Victoria Falls, Zambia. 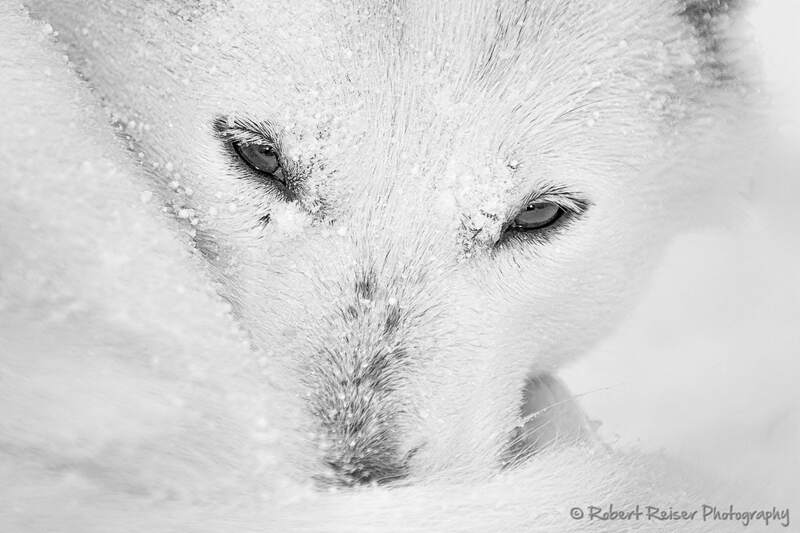 Huskies often curl up and cover their nose with their tail to provide additional warmth. The snow flakes and the conversion to B&W support the impression of very low temperatures. 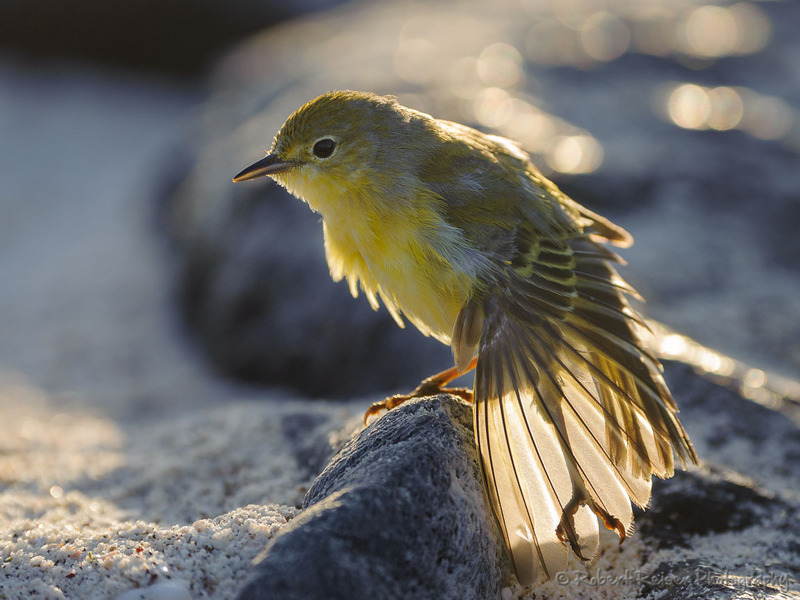 These birds are tiny, about 10 cm in length. I was actually taking pictures of seals, when this guy sat down next to me and started his morning stretching exercises. 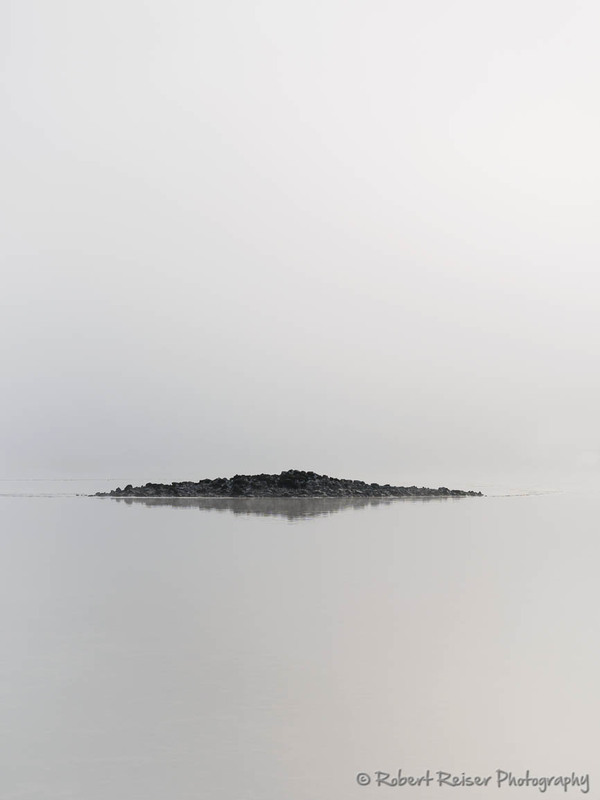 Actually this tiny island is part of a river bank scenery. But the fog was so thick that the trees in the background became invisible. 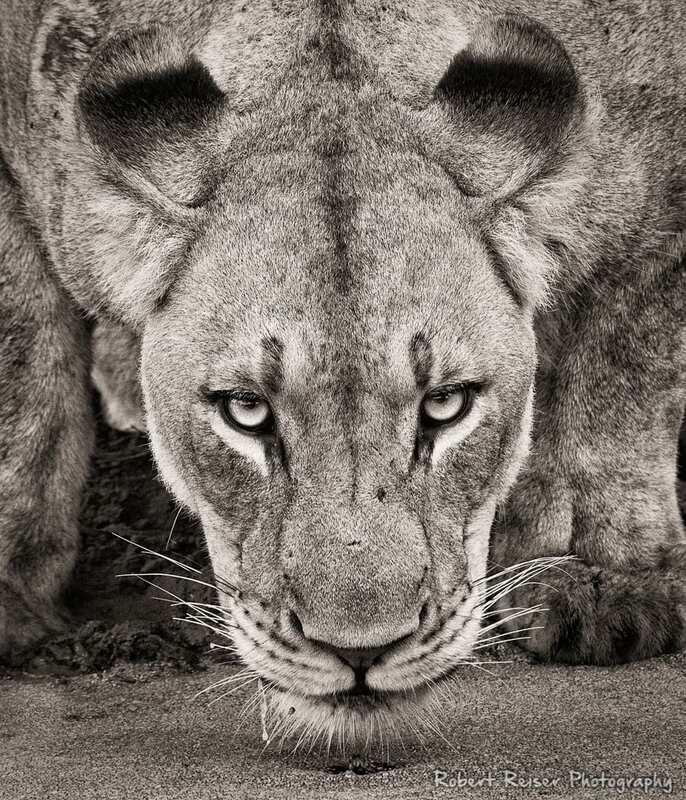 While drinking, the lioness always kept eye contact with us to ensure we would not get too close and interrupt her. 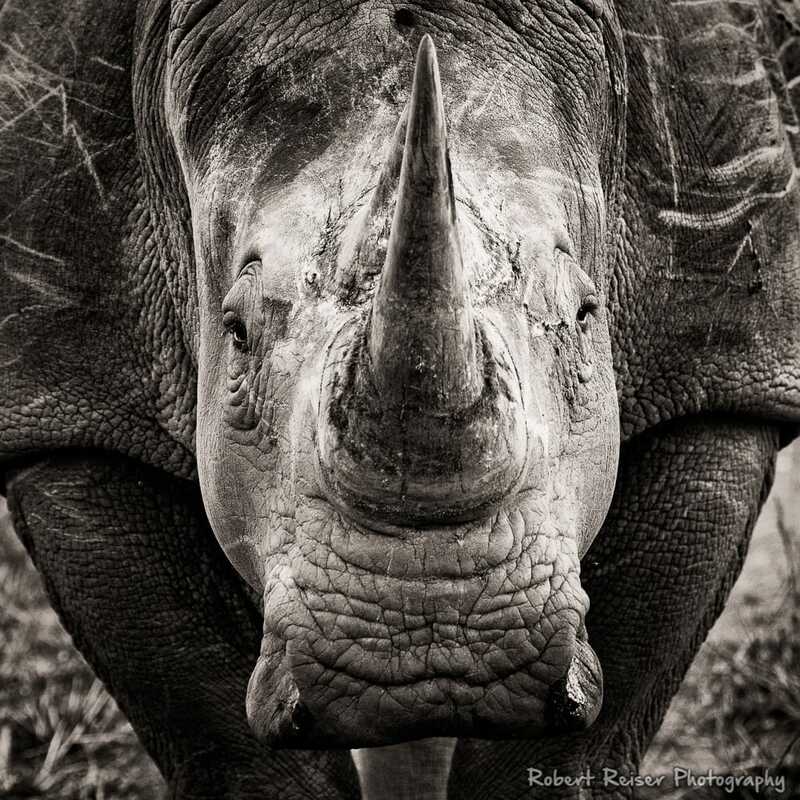 June 2017, Phinda Game Reserve, South Africa. 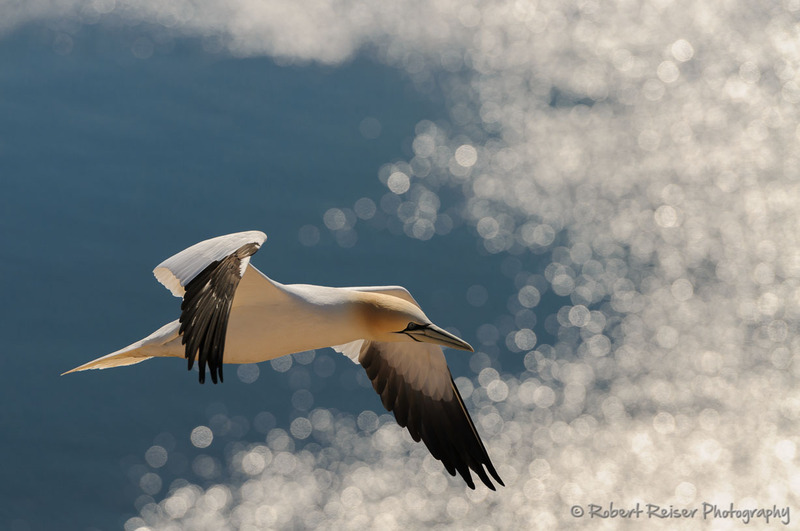 A nice shot of a flying Northern Gannet - in the background you can see the sun reflecting off the waves. 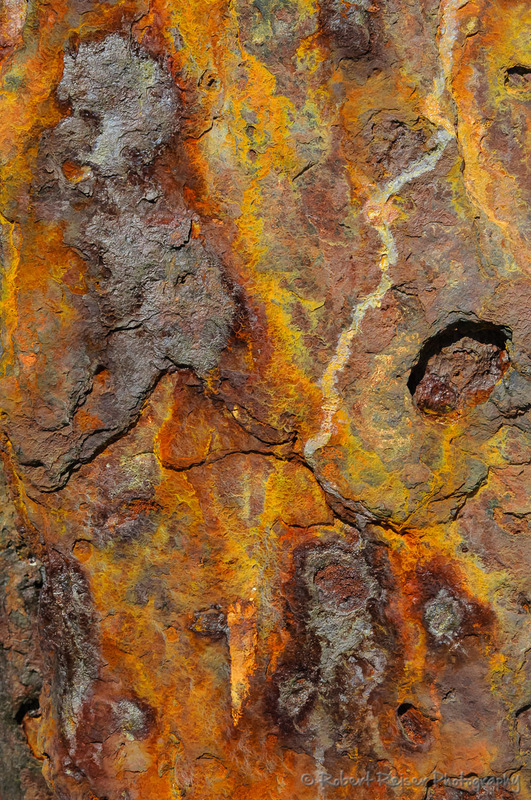 Details of a rusty pillar at the Helgoland Dune. Salt water is extremely corrosive. 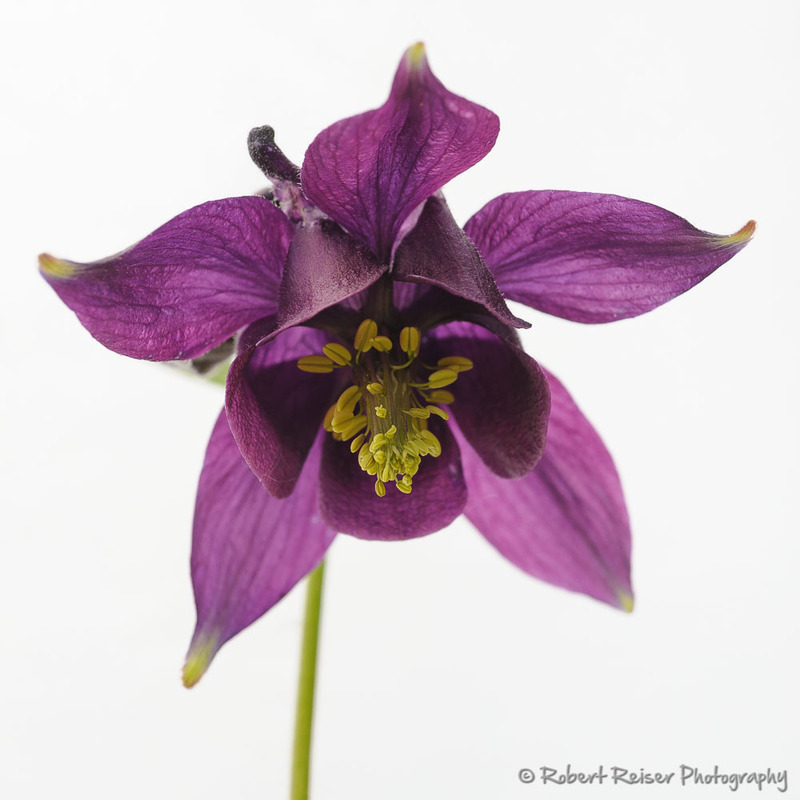 This picture was taken using a diffusor as backdrop, with some slight exposure adjustments to get a true white background. 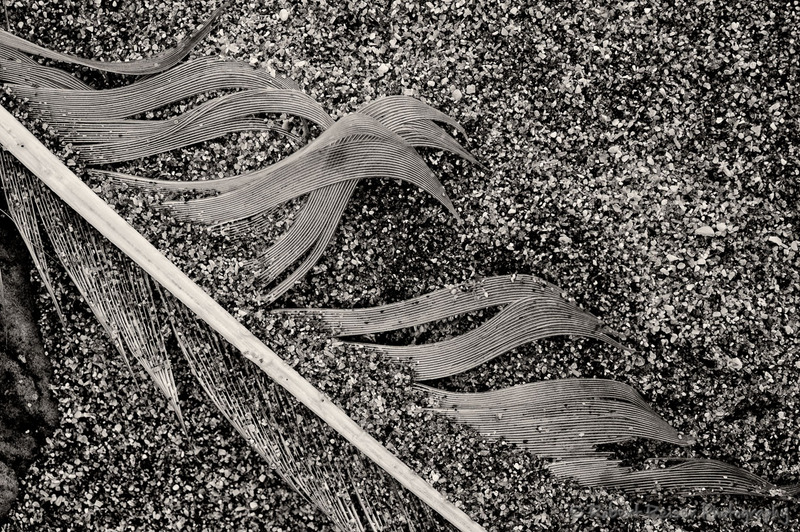 I found this feather on a beach, the details reminded me of ocean waves. For me, the most impressive parts of this portrait are the visible scratches and scars on the sides, souvenirs from many fights in the past. June 2017, Sabi Sabi Game Reserve, South Africa. A flock of Black-winged Pratincoles, against a cloudy sky. 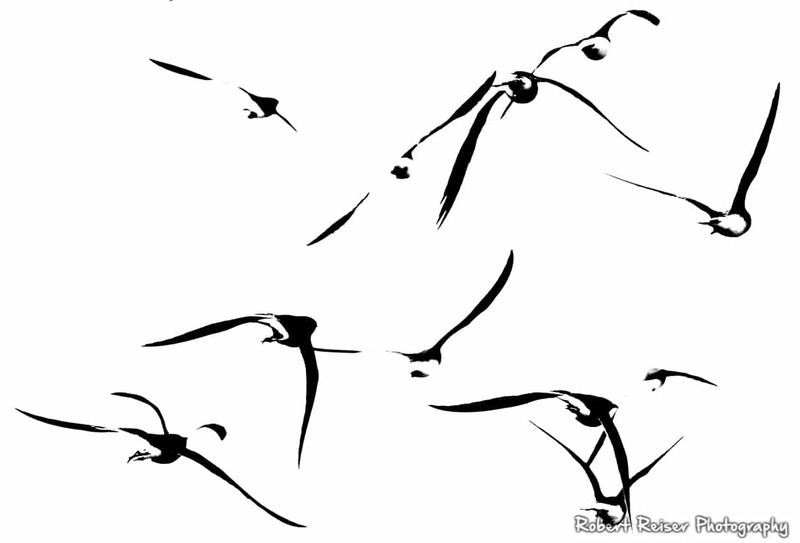 This abstract reduces the birds to dynamic shapes and forms. May 2017, Chobe River, Botswana. 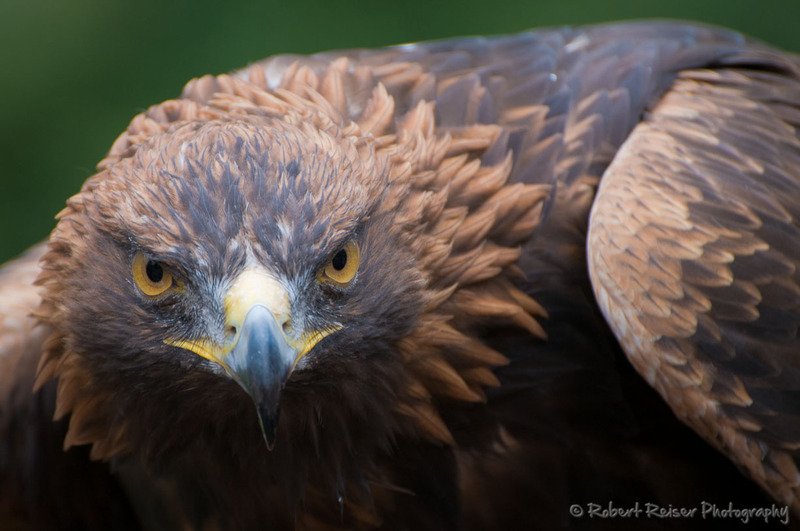 This eagle image was taken at the Tierpark Hellabrunn in Munich, during a live show - the bird was held by one of the guards. 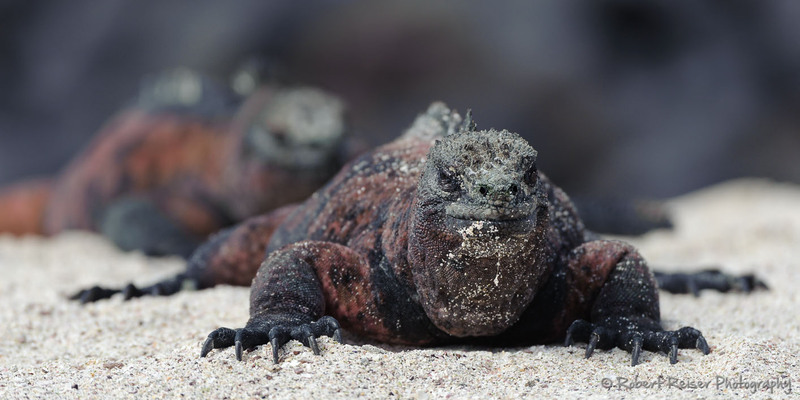 Usually you will find Iguanas on the beach, next to the water. They remain rather immobile until their bodies have been warmed by the sun. 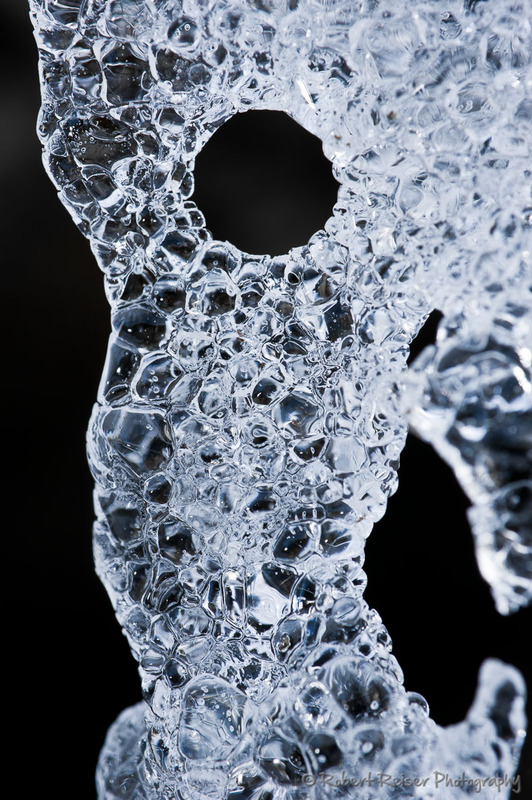 I spotted this beautiful ice structure next to a path in Johnsbach - some flash helped to bring out the details. 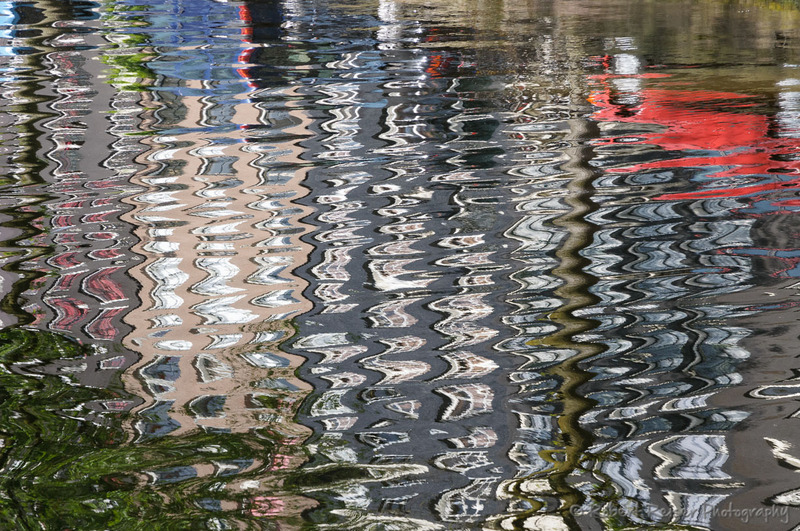 Amsterdam is a beautiful place for taking reflection shots - the opportunities are endless. You just have to look for the right combination of colors. 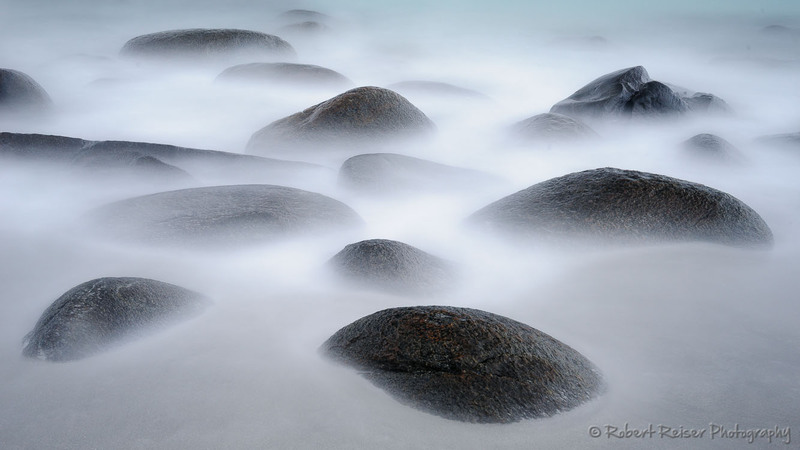 An overcast sky allowed a four minute exposure of these stones, using a strong ND filter - the result is glowing mist. 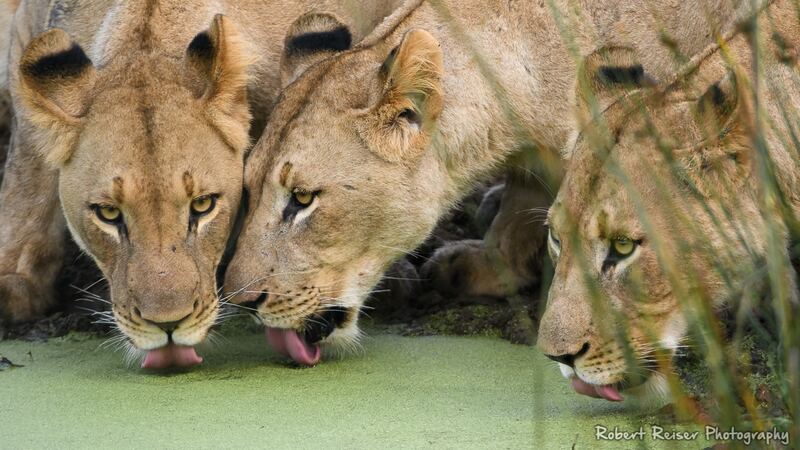 After an abundant Kudu meal the evening before, three lioness sisters satsfy their thirst first thing in the morning. June 2017, Phinda Game Reserve, South Africa. Well... 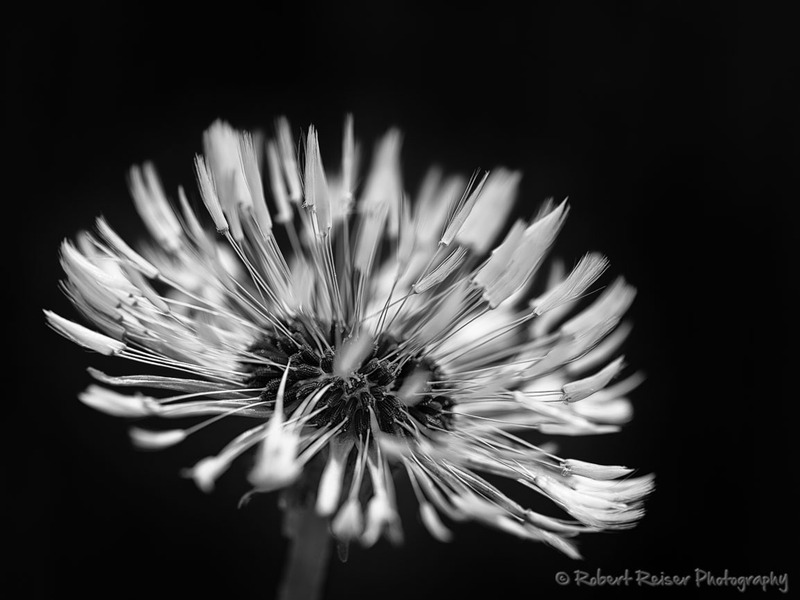 I cannot publish a gallery without a single b/w picture 🙂 So here is another dandelion, converted using a high-contrast style. At the end of the day, a Fish Eagle rests at a very scenic place to overlook the river. May 2017, Chobe River, Botswana. Various layers of fields, pine trees, buildings and mountains form this landscape at the sunset. 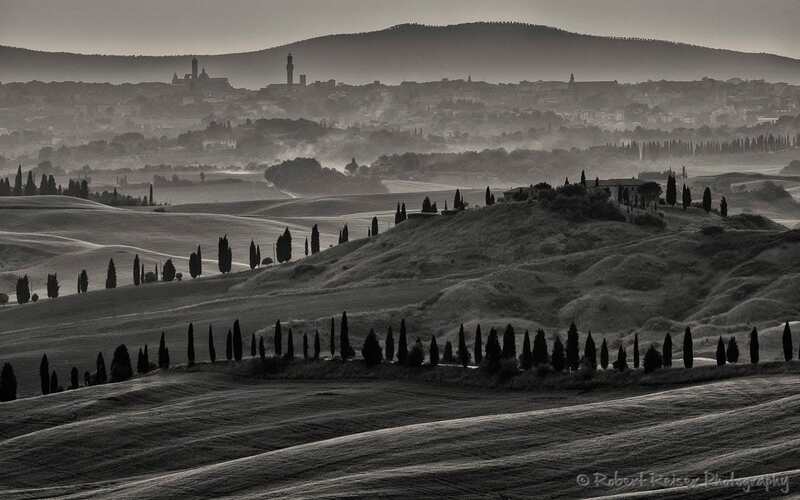 Southeast of Siena, Tuscany. This picture is all about the balance of two colors. 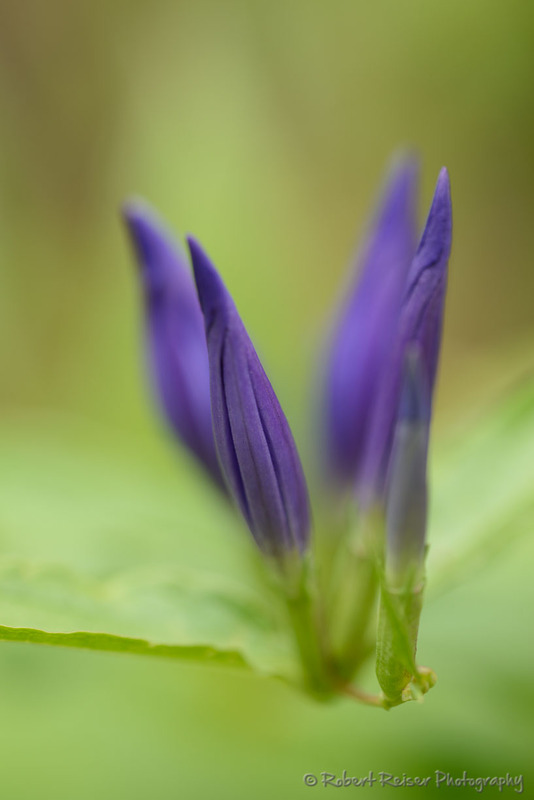 I really like the perfect symmetry of the buds. 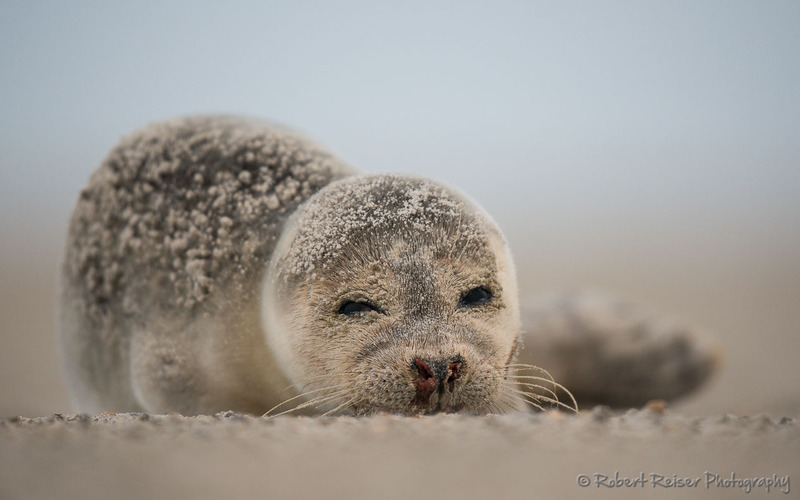 While I was taking pictures of this seal, it noticed me and started to observe what I am doing. 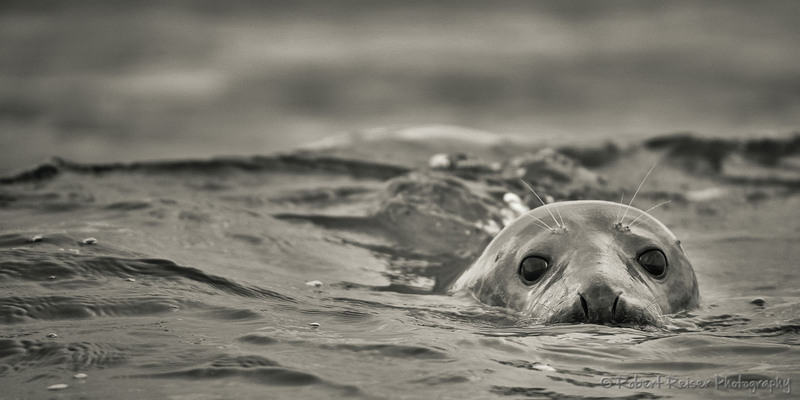 The original picture was almost monochromatic, so I converted to B&W to bring out the details of the seal and the water. 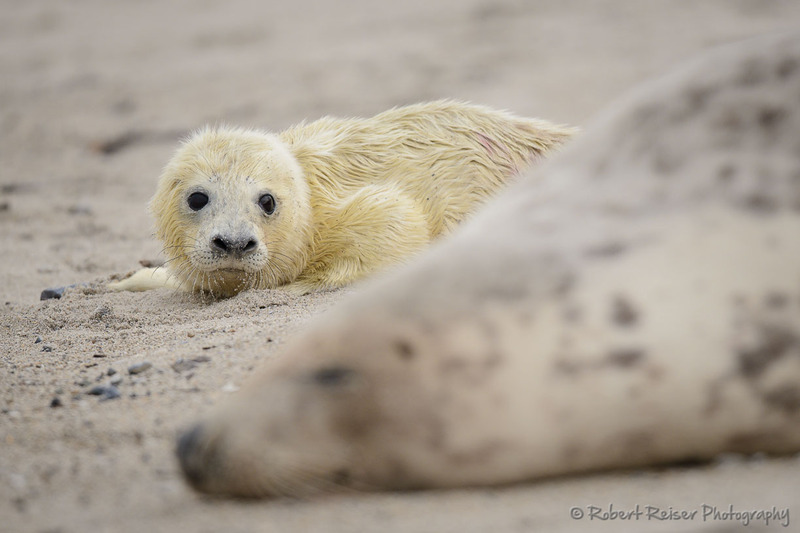 We missed the birth of this seal by less than 15 minutes. While the mother was still exhaused of the childbirth, the puppy was trying to figure out what is going on... and where the milk gets delivered. After taking this picture, I was made aware that the bloody nose is a sign of lung worm infection, which is responsible for a high death rate among seal pups since 2010. 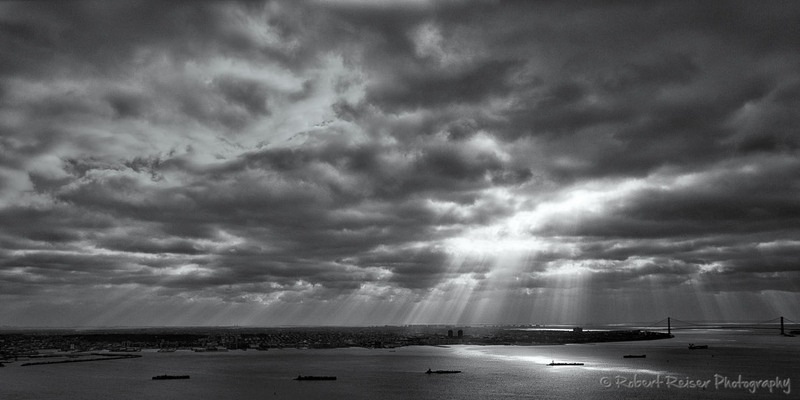 Taken from a helicopter, I was able to capture the brief moment where the sun broke through the clouds and illuminated just one ship. This picture was taken on a rather dull day. 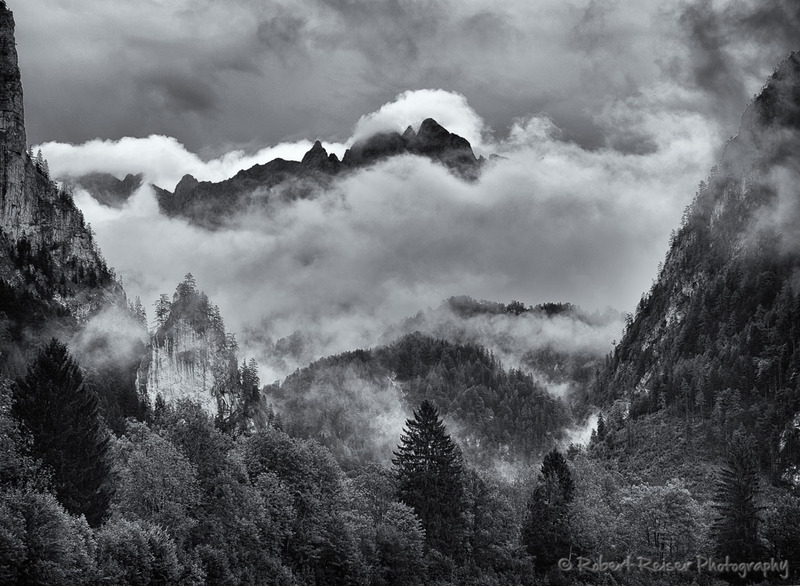 Only after the conversion to B&W the drama in the clouds became much more prominent. 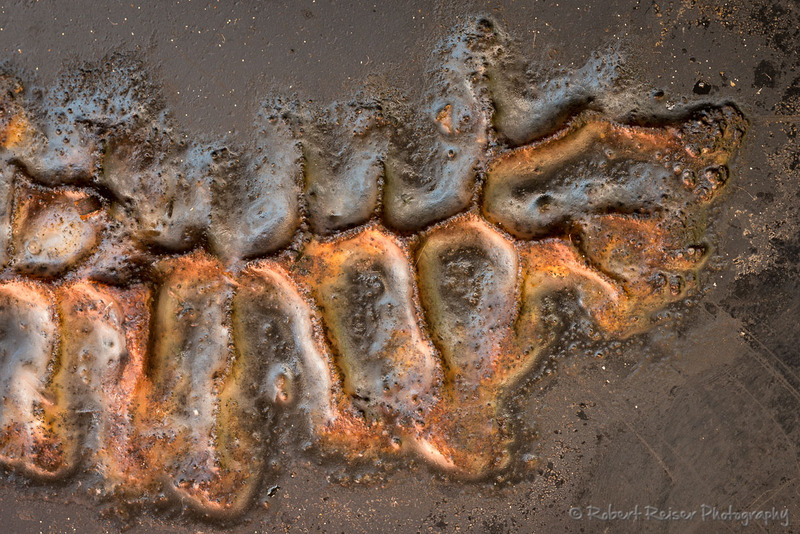 This structure was a leftover of an abandoned beehive, it is molten wax. The color effect was created by sunlight reflecting off skin. This is one from a series if sunrise photos I shot on that day. To capture this, I had to get up at 04:30 in the morning, but the results were worth it. 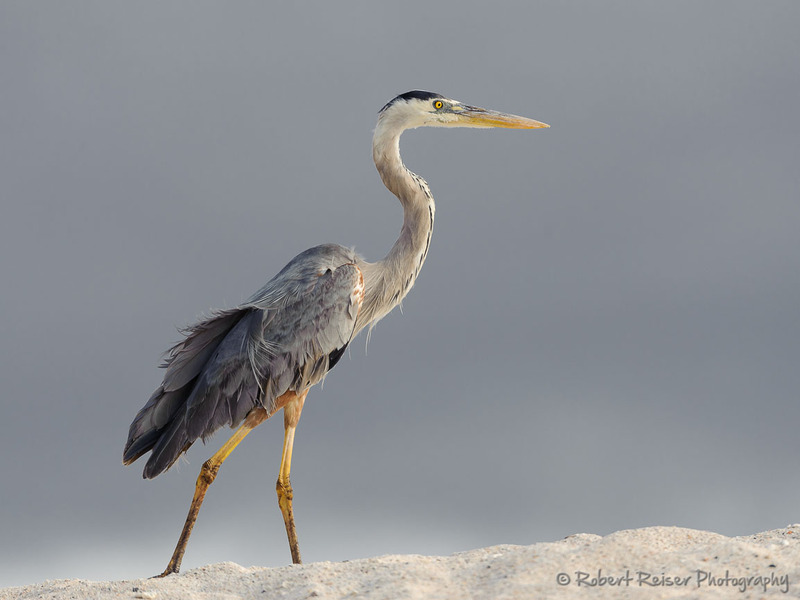 This Heron landed on a nearby sand dune, watching out for freshly hatched turtles on their way to the sea. In reality, hatched turtles can only survive when they hatch at night, in complete darkness. 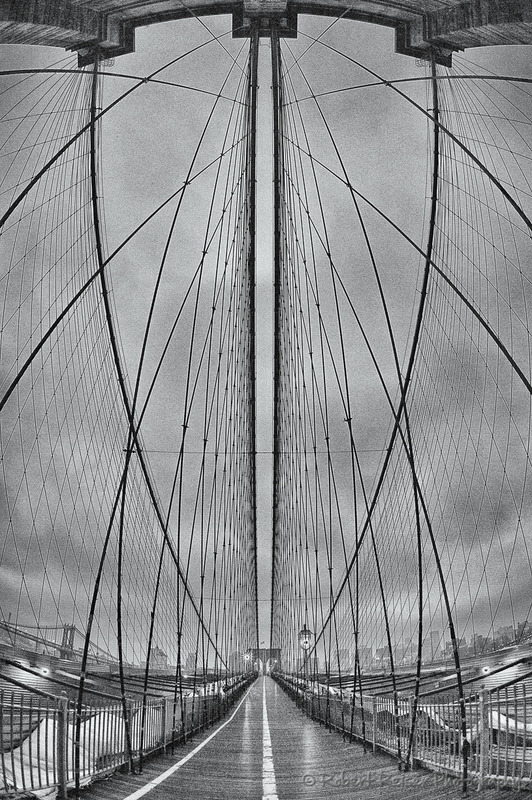 This picture of Brookly bridge was taken with a Fisheye lens - I was standing right next to the pillar and was fascinated by the wiring. Located on the East coast of Lofoten islands, you can see Reine Kirke in the background, on the right. 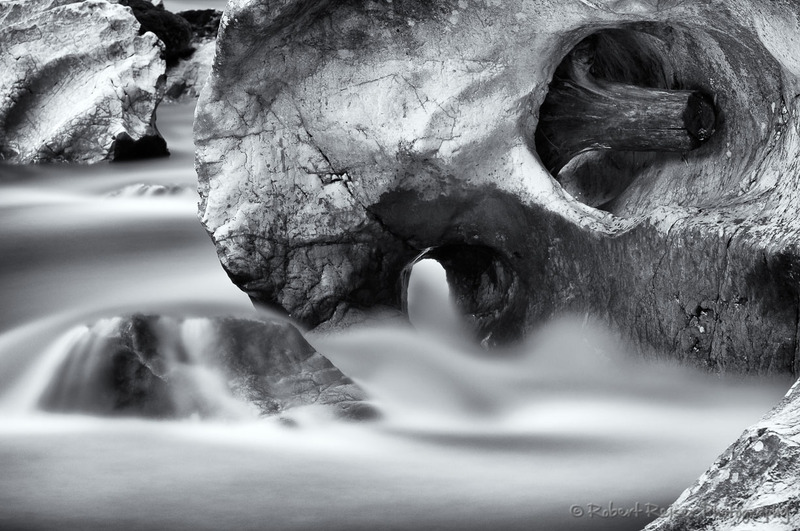 This four-minute exposure of a stone in a floating river was later converted to black and white using Silver Efex 2. 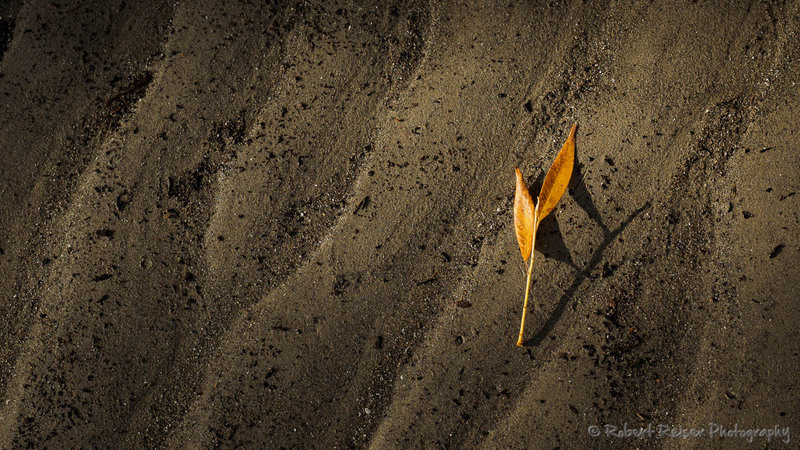 I especially like the contrast between the rock details and the smooth water. 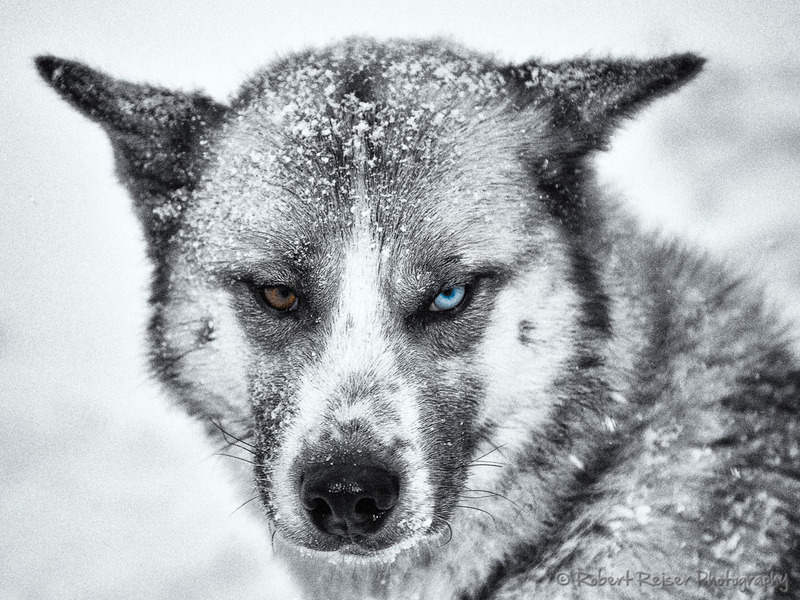 it is fascinating to look into the eyes of a husky with two diffeent eye colors (heterochromia). With exception of the eyes, the picture was converted to B&W to enhance this effect. One bird got stuck in part of a fishing net and was already dead for a couple of days... but offspring is in the works. 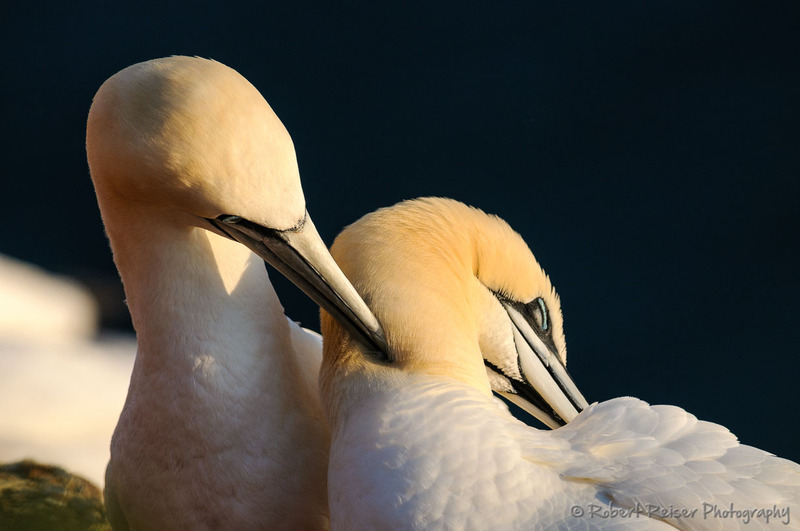 Hidden behind his partner, this Northern Gannet anxiously observed me while I was watching them both. 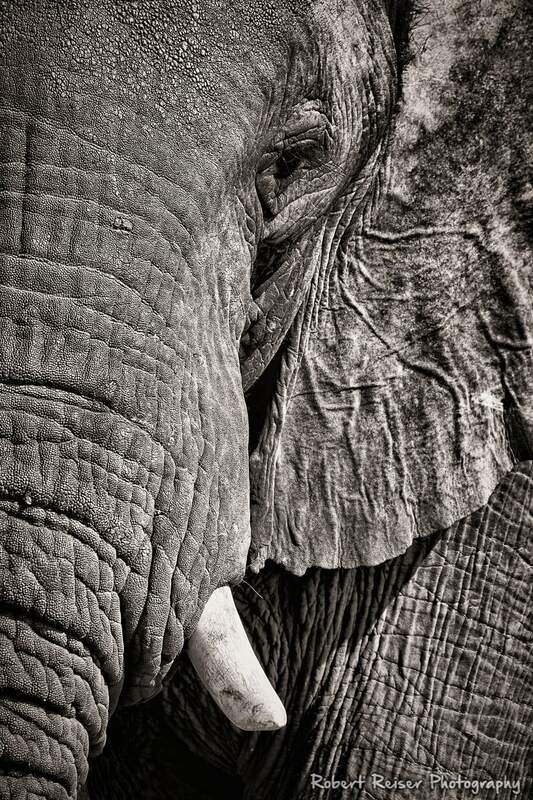 This small detail should remind us of the similarities between these giants and us humans. May 2017, Chobe River, Botswana. 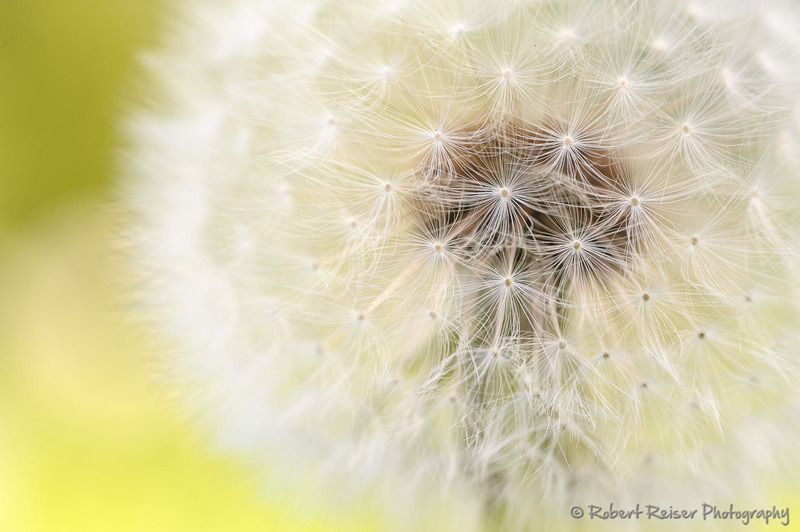 The purpose of this image was to keep the bright green background, it matches the fragile structure of the dandelion. 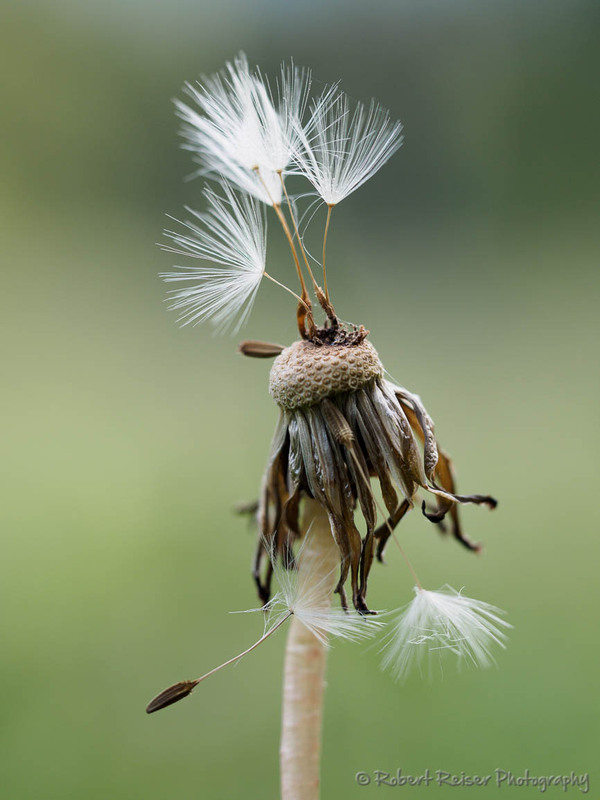 With only a few seeds still attached, the dandelion has nearly fulfilled its purpose. 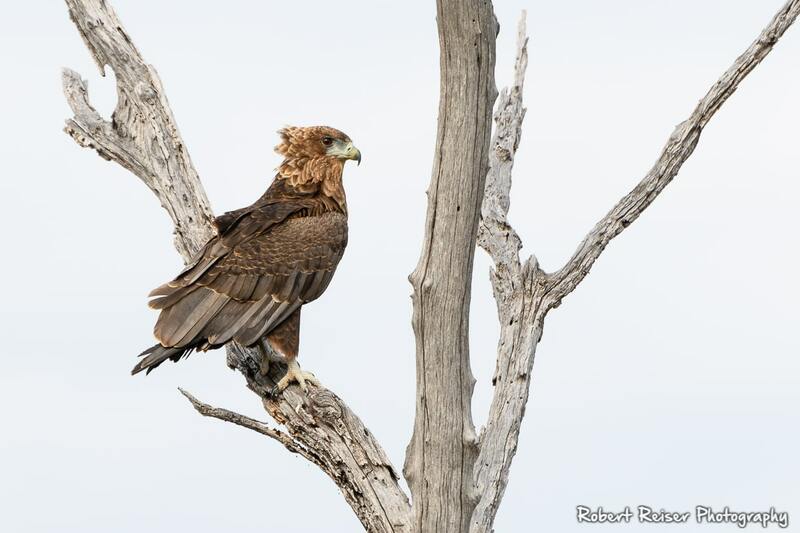 This portrait was made while the eagle was waiting for a group of Wild Dogs to disappear. With the cloudy sky in the background, the picture looks like a painting. May 2017, Chobe River, Botswana. 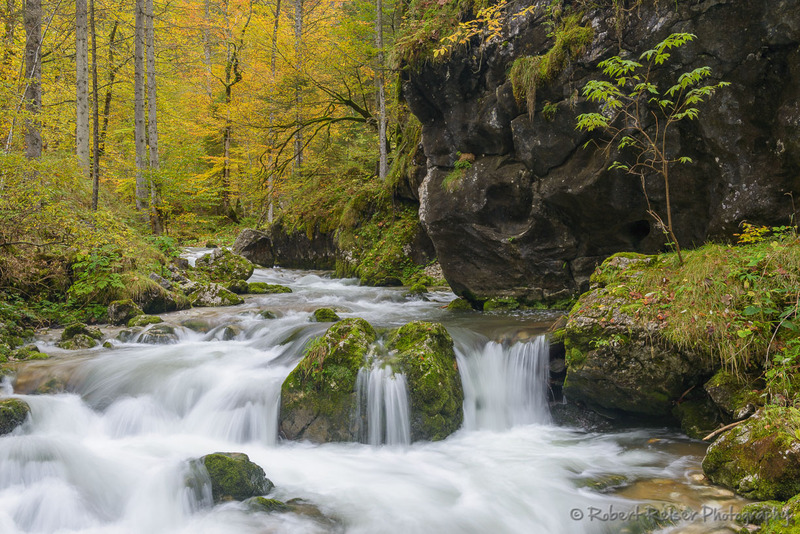 This long(er) exposure of a creek balances the beautiful color of the birch trees in the background with the rock and the smooth water in the foreground. 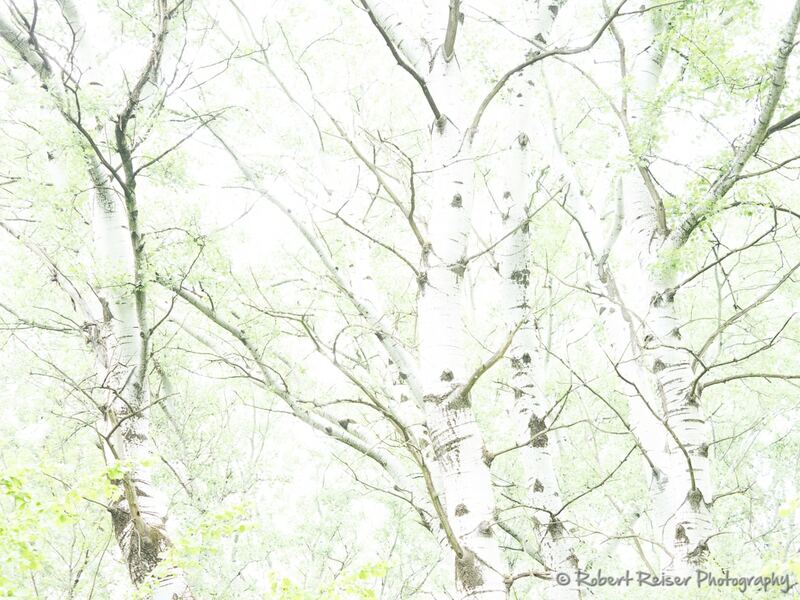 A high-key portrait of a goup of Silver Poplar trees. Aren't they dancing? May 2017, Nationalpark Donauauen, Austria. Right after sunset, the sky showed all the colors of a rainbow. 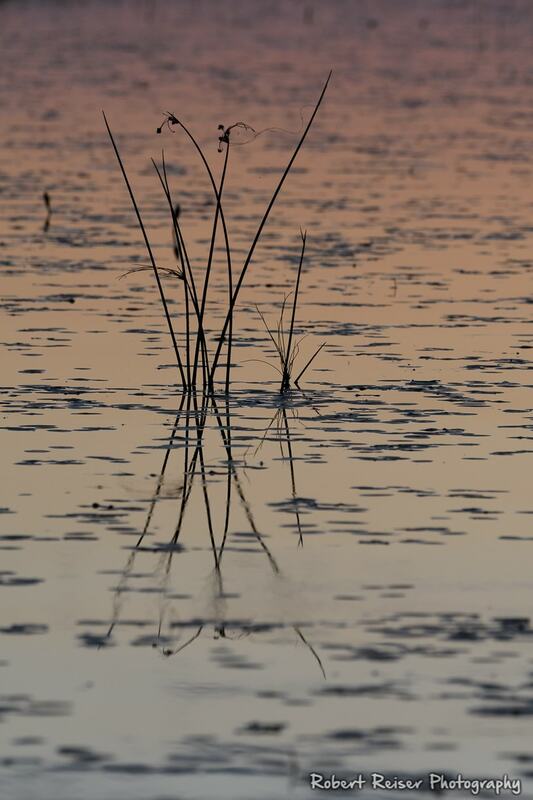 The simple shapes of the reed complement the pastel color reflections nicely. May 2017, Okovango Delta, Botswana. 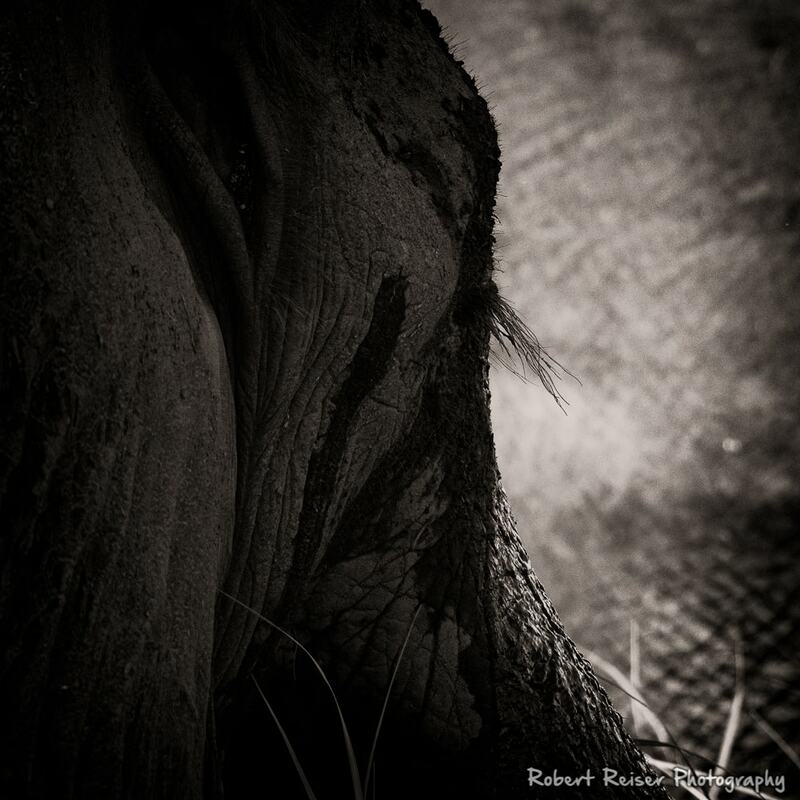 In closeup view and converted to black & white, the elephant skin texture just looks amazing. 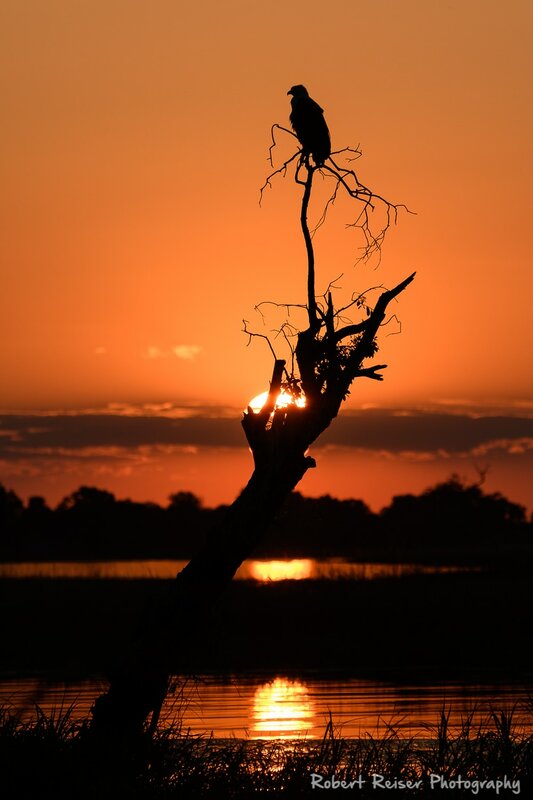 May 2017, Okovango Delta, Botswana. 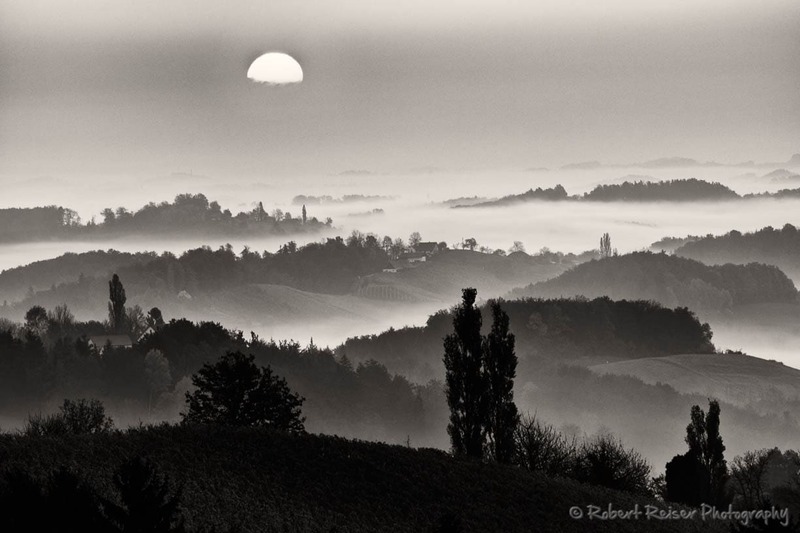 Early in the morning in autumn, if you are high enough, you can see a sun rise above the fog sitting in the valleys. 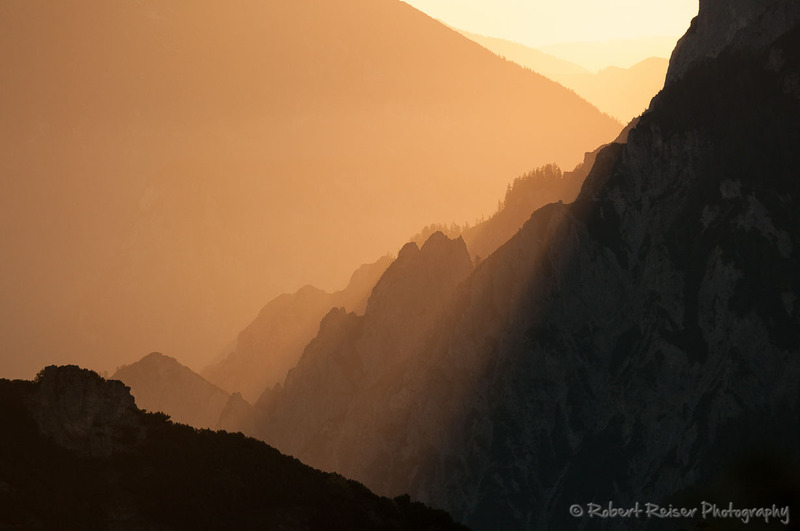 Taken in Styria, Austria. 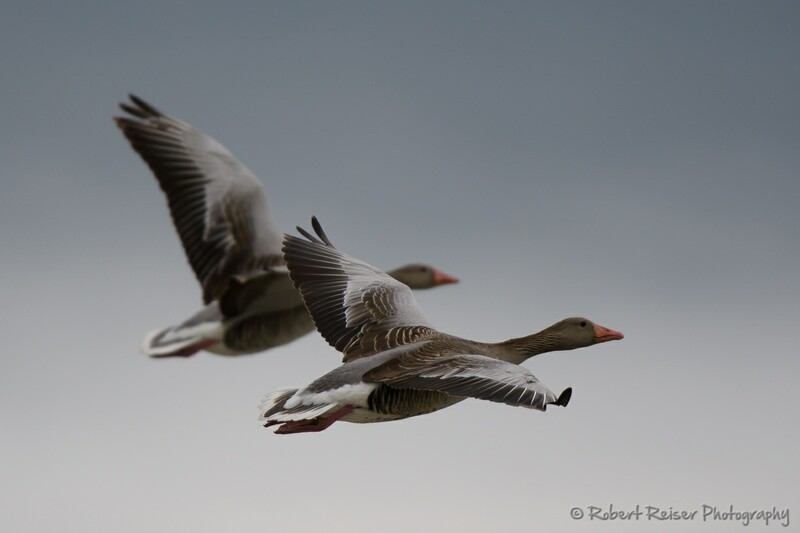 A pair of Grey Geese in flight. 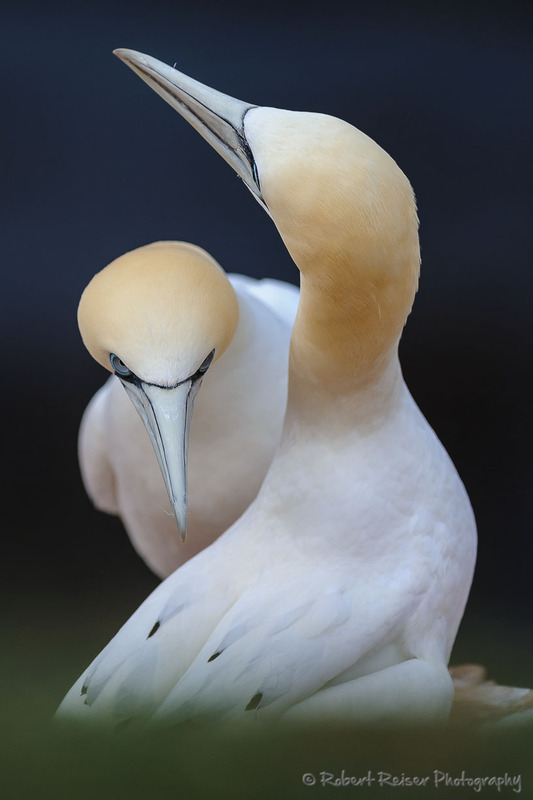 Their wings were perfectly in sync with each other. May 2017, Nationalpark Neusiedlersee, Austria. 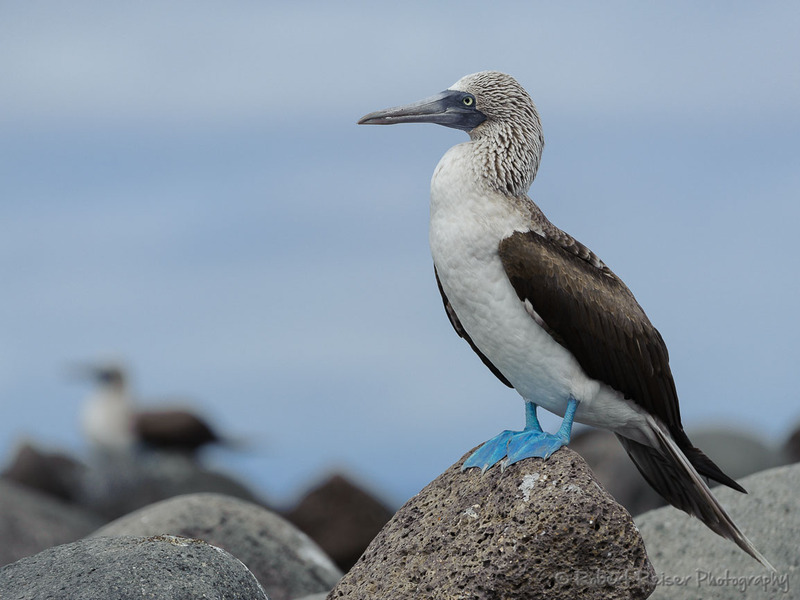 50% of the worldwide population of Blue-Footed Boobies resides on Galapagos. 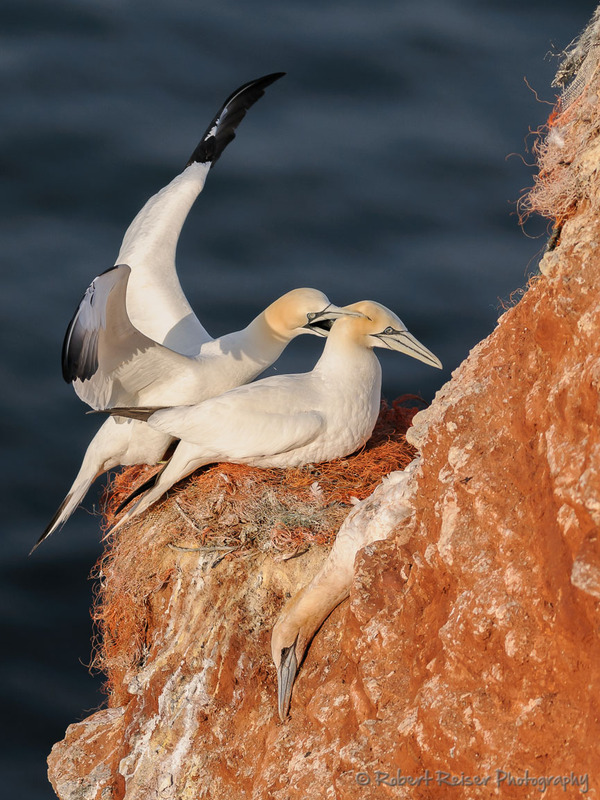 Their mating dance is exciting to watch, if you are lucky. 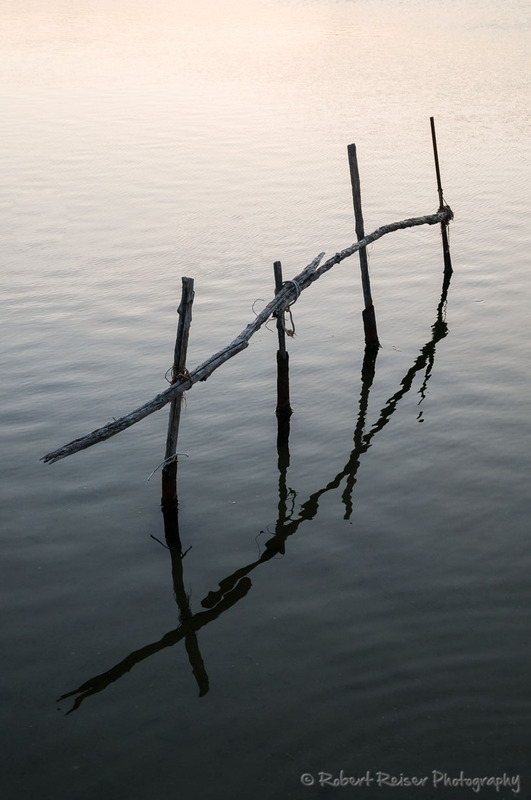 On a lakeshore this wooden construct reminded of previous times. 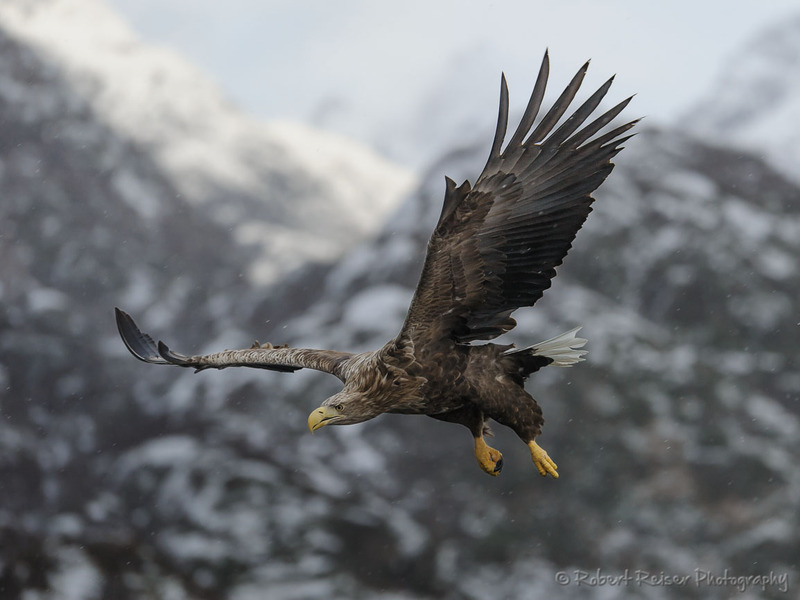 On a boat sailing through Trollfjord, this eagle did get really close to the boat and was waiting for some fish from the boat crew. The portfolio content will change over time, because I will be adding and removing pictures. You might want to revisit this page in the future to enjoy the new content. 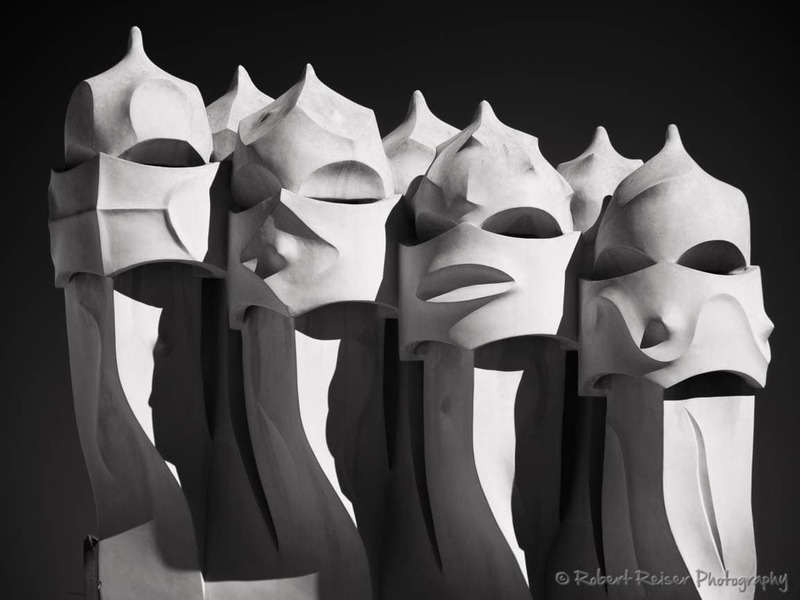 If you like the pictures on this portfolio page, you may also want to take a look at my galleries or my projects.